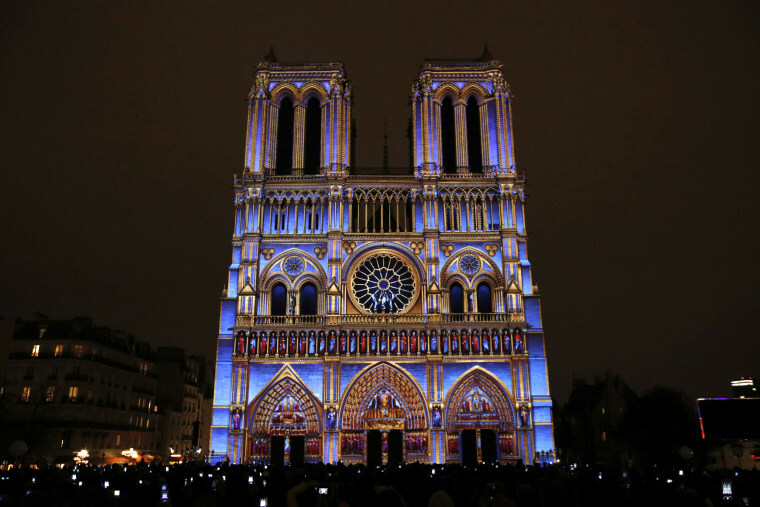 Visitors gathered in the courtyard of Notre-Dame in Paris on Wednesday night to watch the "Dame de Coeur" light and sound show on the cathedral's facade. Created by director Bruno Seillier and running until November 11, the display commemorates World War I. On a battle field in 1917, the show opens with an injured American soldier who tells a young French nurse he regrets never visiting Notre-Dame. Seated in the dark, the audience follows their discovery of the monument.